As an E-Commerce business owner, you are probably aware that social media is an extremely useful marketing tool, especially for online retailers. However, creating social media accounts for your business will not improve your sales figures overnight. Effective social media marketing takes constant research and a lot of work. But, if you’re willing to put in the effort, social media will be one of the best tools your online business can use to engage with current and potential customers. Whether you already use social media and are looking to improve your efforts, or you’re new to the social media world, the most important factor you must consider is your strategy. Establishing a solid strategy upfront will help you stay organized and consistent in your marketing efforts, and allow you to focus on the interaction between you and your customers. 1. What is my brand identity? If you’re going to use social media to tell customers about your products or company, it’s important to know who you are and what you’re selling. In social media marketing, we often refer to a brand’s personality as their “voice.” Whether you plan on being lighthearted and humorous or descriptive and professional, having a consistent voice across all your social media platforms will help customers better understand your brand. Defining your specific audience will help you cater your social media tactics to achieve the most engagement between you and your customers. Before you start advertising your brand or products online, make sure you do extensive research on the customers you are hoping to reach. What are their demographics? 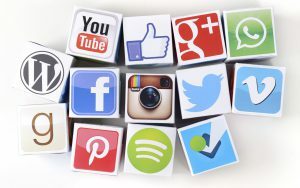 What social media platforms do they use? What do they like to do in their free time? These are just some of the important questions that need to be answered. To find out more about your audience, start searching online for topics related to your business. Find out what customers in your industry are talking about, and what is important to them. You can even go on Facebook, Twitter, or any of the social media platforms and search topics or hashtags (#) to see how your customers already behave on social media websites. The more you know beforehand, the better. Another helpful research tool is your competitors’ social media sites. If there are successful companies in your industry, go to their social media pages and see how they are effectively engaging their customers. Pay attention to what works, and what doesn’t. Seeing what’s already out there can help you think of new, creative ways to engage customers and make your company stand out. Before you start posting, you need to decide what you want to achieve. Are you trying to increase awareness, generate sales, or something in between? One of the best things social media marketing can do for your company is provide you with lots of data on the results of your marketing efforts. However, all the data in the world is useless without something to measure it against. Once you establish your goals and start posting, there are endless sources and analytics tools that can help you analyze your performance. Facebook provides insights on all your posts. 5. What platforms should I use? When it comes to choosing social media platforms, it all depends on your business and your audience. If your products are visually appealing, Instagram and Pinterest are great resources. For B2B companies, LinkedIn is probably your best option. Facebook and Twitter also allow you to engage directly with your customers and can be an excellent customer service tool. Another factor to consider when choosing social media platforms is the type of content you intend to have. 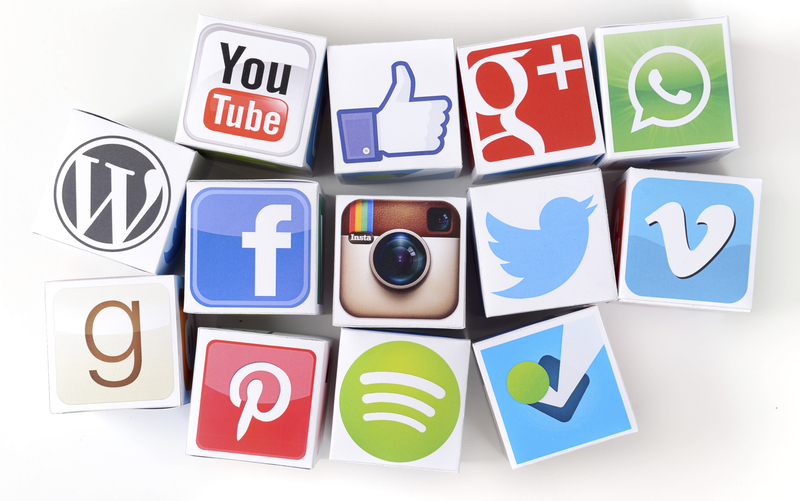 Although it may be tempting, you don’t need to have an account on every social media website. For example, if you don’t plan on posting videos, don’t create a YouTube account. Makes sense, right? 6. Who will be managing my social media? Like we said earlier, social media marketing is no walk in the park. If you are going to be handling your social media in-house, you may want to designate one person who can dedicate a significant amount of their time to the cause. However, if you don’t have someone with enough time or knowledge, hiring a marketing agency to manage your accounts can definitely be worth the cost. 7. How much am I willing to spend? Yes, social media accounts are free, but many of them give you the option to use paid advertising to increase your audience engagement. Before beginning your social media marketing, you should evaluate your resources and decide if paid ads will be beneficial to your company. That way, you can allocate part of your budget ahead of time to accommodate those future costs. Now that you have your strategy in place, you can begin engaging your customers through social media. As long as you’re willing to put in the time and effort, social media marketing will help you reach new customers and ultimately make your business more successful.